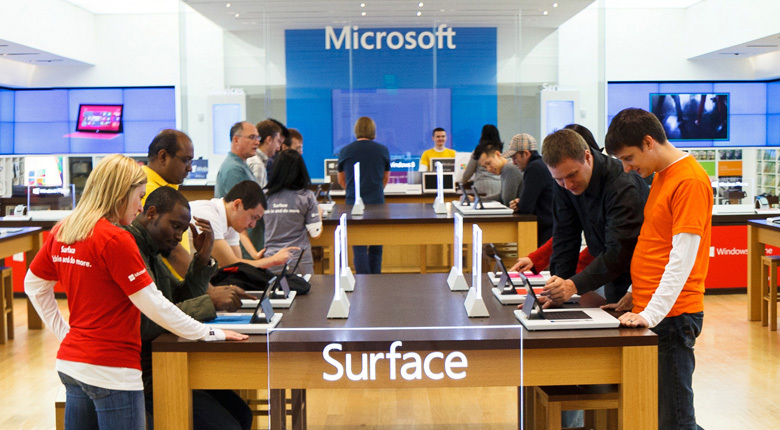 The second Microsoft store in Oklahoma opens at Woodland Hills Mall in Tulsa on Wednesday November 20, 2014 at 11am. Microsoft has had a kiosk in the mall since October 2012. The company plans to spend roughly $3 million in renovations and the store will employ 40-50 people. There will be 2,733 square feet of Microsoft products like Windows 8 PC’s, tablets, phones, Xbox One game systems, and more. The store will feature a small theater space for presentations and workshops, personalized shopping assistance, as well as one-on-one training sessions and technical help. Woodland Hills will be Microsoft’s second permanent store in Oklahoma, the other being in Oklahoma City’s Penn Square Mall. The company currently operates 58 permanent Microsoft stores and 43 smaller kiosk type stores like the one now in Woodland Hills. There are plans for 12 more permanent stores in addition to Tulsa’s, across the nation. Matrixforce is providing exclusive Microsoft Gold Partner discount cards for 10% off store purchases through December 2014 and will present various quarterly customer presentations on Office 365, Intune, and Azure in 2015. Special thanks to Justin Conway for contributing to this post.